Truly, madly, and a bit guilty, I sit on one of my favorite benches and ponder the fates and furies that have followed me over the year. Although I faithfully follow a life of joy, I’m nobody’s fool. Some days give me heartburn, as if I’ve just swallowed vinegar. Some days I wonder if god is in ruins, even when the nights are tender. Sometimes I feel like a distinguished guest in my own home, but then, suddenly…. Suddenly, I breathe; I follow a wishing thread, seeking inner knowledge while waiting for a great reckoning. Despite the rumor, I understand that we are always in the middle of somewhere. A sorcerer’s garden awaits us, like a guest room in a beautiful mansion, if we only search hard enough. Even if it’s my last stand, I will pursue Orion’s gift of the sky and sea, always with stars in my eyes. 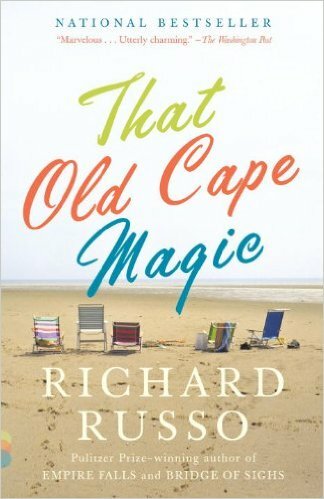 Those stars allow me to see that we’re all eligible for a visit to a little Paris bookshop, to a house with hanging jade on a beach island, and to some magic on Cape Cod. As is the custom of the country, I’ll wait after you. 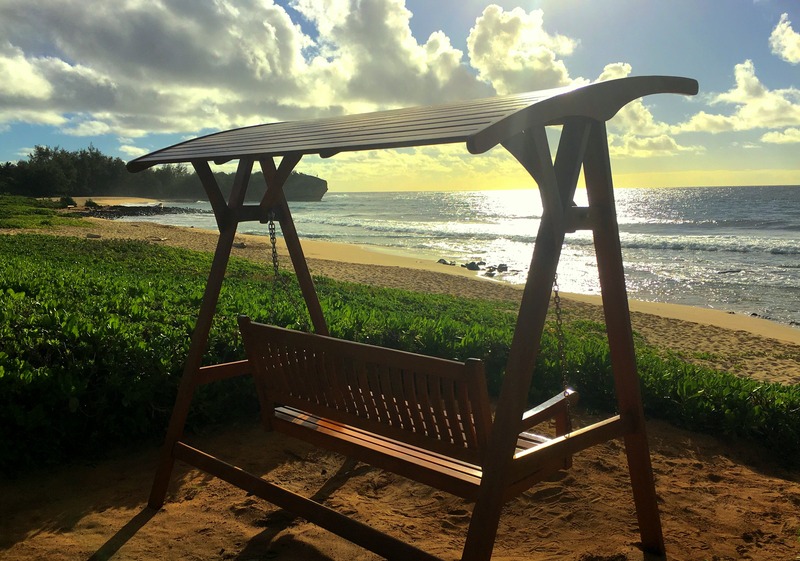 And perhaps, not by design but with the help of a man called (l)ove, just like Emerson’s wife we’ll all find ourselves sitting on a bench together, giving thanks for the life that is, and the secret life that awaits us. So lovely and eloquent! And my…you are so well read! I aspire to read a book a week – as a writer, I learn so much from the thoughts and techniques and tools of other authors. To great learning, reading, writing and LIVING in 2017. So great to follow you on your green global trek. If you had a top three? This so good, reading you always leads to somewhere, something unexpected … even when the post title gives a clue! Pam it’s a pleasure visiting you. Eric. And it’s a GREAT pleasure having you here, as well as visiting you at your poetic blogging space, Eric. What a lovely, literary post, Pam! I like your booklist, and I will definitely add some of your choices to my list. (OK. I don’t really have a list. I just pick up books with wild abandon, savor them, and move on. I have a backlog though.) 🙂 And the bench is wonderful and the view spectacular. Happy New Year! No better way to find a book than to begin it with “wild abandon, savor it,” and move on to the next. That’s what I do too. When I’m mid-way through a wonderful novel, I make sure I have the next book sitting by waiting, so I don’t get too sad to say goodbye to the characters I’ve just gotten to know so well. I wish you some delightful bench sitting/book reading in the new year. What a terrific list – I think we like the same kinds of books! You have ready that are on my TBR list. I hope you have a Happy New Year and I’m looking forward to reading your wonderful blog in 2017! Oh I know – I used to blow through at least a book a week but since I went back to work I haven’t had as much time – even though I work in a library! Love the photo with a wintry look even though the grass is green. Don’t know why I think it looks like winter but perhaps I should change that to a late summer look. Anyhow that’s a long list of books and I certainty will pick a few to order as used books. Thanks for an interesting post. Emerson’s wife caught my eye for some unknown reason. You are correct, though! 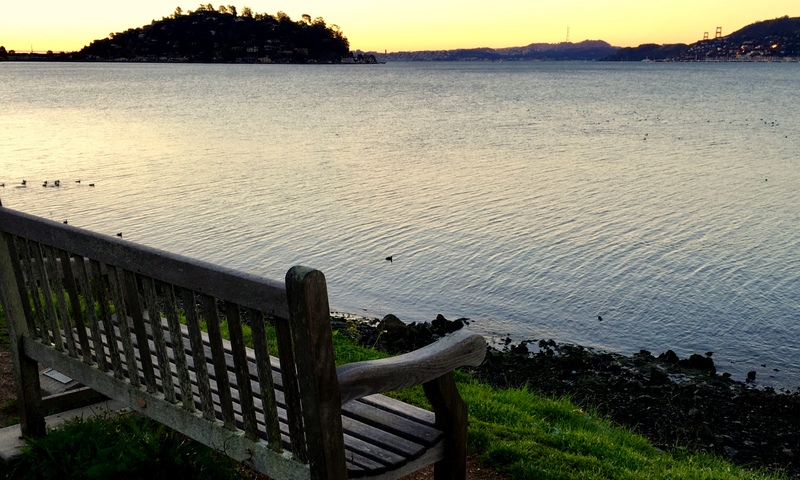 The top bench photo was taken earlier this month in the SF Bay area. Winter is green there, because they’re finally getting rain. I think you’ll really enjoy Mr. Emerson’s Wife – in the voice of Ralph Waldo Emerson’s wife. A real eye-opener, and Henry David Thoreau has a large part of the story, and Louisa May Alcott pops in from time to time too. They all lived in the same neighborhood in Concord, MA. Peace and blessings to you for 2017. Peace and blessing to you as well, Pamela. Oh very good Pam. I loved ‘A God in Ruins’. Happy New Year. I cried throughout that book, Roy. Then I re-read it immediately. Profound. Happy, Happy New Year to you, my friend. What an impressive reading list, Pam. All the best for 2017, filled with many more great books to read and tons of writing accomplished! Thanks for being a great blogging friend over the year. I’ve always been an extremely fast reader – just something I was born with. I’m just mad that I don’t write as fast as I read!! 🙂 Happy New Year – may you find just the right bench for 2017. Thanks! If I could find a place like that I’d write all day. Have a super New Year! Whoa – thanks for the compliment, Arlene. I find ‘divine sparks’ in every good book I read. Great list, Pam! Oh, how I’d love to be relaxing on that beautiful bench right now…sigh. 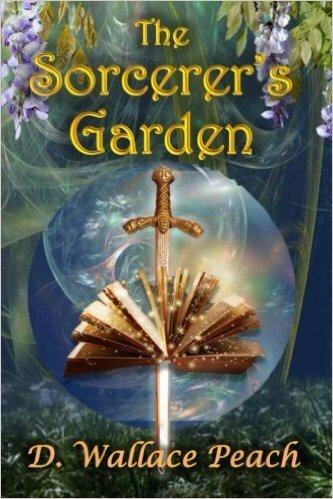 I love the way you wrote this and I have to tell you, being such a sucker for great book covers, THE SORCERER’S GARDEN pulls me right in! You are SO well read, my dear 🙂 I wish I read faster so I could fit in more novels. I read hundreds of Picture books each year, but only a handful or two of novels. Life is simply too short for all those wonderful READS! Thanks for sharing this! P.S. I also loved THE STORIED LIFE OF A. J. FIKRY. Read it a couple of years ago! Have you read THE NIGHT CIRCUS? I haven’t read The Night Circus – sounds like I should add it to my list of books to read for 2017, and I will! Picture books count – sometimes the best wisdom is found in the smaller (more innocent) texts. Happy New Year to you! Okay!! I just ordered it!! A great read to look forward to for the beginning of 2017. Thanks. I just got the softback. I’m waiting until I go on vacation in 3 weeks – something to really look forward to!!! Okay, Courtney, I finished The Night Circus this week on a sunny beach. But I didn’t feel the sun, and I didn’t notice the beach – I was too busy being in Europe and American in the 1800s in that magical mystical circus. Enjoyed the book tremendously – thanks so much for recommending it!!!! Just had to let you know, “writersideup,” that I finished The Night Circus this week. Fabulous story with so many ‘rings’ to it, just like that mysterious wonderful NIGHT CIRCUS. Thanks for encouraging me to read it!!! I love blog posts laced with book references. And your 2016 reading list, a great accomplishment! I log my books read/reviews on goodreads.com and rifflebooks.com Maybe you use these too. I wish I’d started years ago; I’d have dozens more. Recently I’ve read and reviewed Pattie Welek Hall’s A Mother’s Dance. I envy your ability to listen to audio books, Courtney. My brain just can’t take them in that way – I’m a visual learner, so they say. Sure would help the long drives I need to take at times. But whatever, YES, a good book moves us to see the characters as actors in our heads, keeping us enthralled and entertained throughout. I surely try to do that when I write my own novels also. Such a clever post, Pam – I loved it! I didn’t get to reading quite as many books as you over the past twelve months so my parallel post would be much shorter, but I now have many good suggestions to draw upon to read in 2017. “We don’t crave a story to escape reality. We crave a story to navigate reality.” I really identify with this thought, and I think it pairs well with your message that books are a sort of mental medication that has effects lasting so much longer than that pharmaceutical variety. Thanks for sharing your list and thoughts, and the best of wishes for a book-filled (both reading and writing) new year! So, again, you inspire me Dave. I LOVE that quote: “We crave a story to navigate reality.” That makes me feel better, because sometimes I wonder if my book reading is an escape. But I’m firmly entrenched in reality, thank you very much. I learn SO MUCH about other people’s reality by reading books. I’ve always believed that if everyone read a lot of books, they’d have so much more empathy for others, being able to place themselves in other’s hearts and minds, pain and joy, and struggles. So, that said, HAPPY NEW YEAR. To writing and reading into the future. Clever post, Pam! And how wonderful that you found so many new favorite books this year. May you do the same in 2017. Wishing you a great New Year, with lots more happy moments with views like these and lots more great books to read. And YOU make me smile, Sharon. To a healthy and happy 2017!! Such a lovely post. l loved its flow and how you connected each book. Unique and clever. I was so sad when Nora Ephron died. Sad because she was young but also sad because she wouldn’t be writing any more books. What a great idea, Pam, to list your favourite books. I now have some ideas of what to read next. Thank you so much for putting Orion’s Gift on your list. I appreciate it being included in books you’ve enjoyed reading. Hope the new years brings lots of good books into your hands… along with wonderful walks in the woods, and the insight to enjoy every minute of your life. Pam, you have such a lovely way with words! Your post was lyrical and clever, and I’m honored that you included House of the Hanging Jade, I’m reading The Goldfinch right now and enjoying it very much. I hope to see you again in the new year and I wish heaps of blessings on you and yours! I would be thrilled if you add my books to your reading repertoire. They are page-turners and romantically suspenseful. Let’s hope our lives are full of love and grace in our reading, writing, photographing, and creating this new year. Just beautiful Pam, I love your posts . You have such a way with words. If you were a chef, I would give you three stars. I’m going to use your book list when it is my turn to choose a book for my bookclub. Have a happy and healthy New Year! Thanks for the recommendation , I’ll check them out but I wouldn’t mind something light and fun. We just read “A Constellation of Vital Phenomena ” by Anthony Marra. I need a good love story where an old woman falls in love again. Wishing you a Happy New Year! I wish I could read that many books in a year. With everything on my daily plate, I’m lucky for a book a month. Lol. Happy 2017! Your amount of writing every day inspires me. I do consider my reading paramount to my writing, since I learn so much from each different author. Best of luck in your 2017 publishing efforts! Best wishes for another prolific year of beautiful words and delightful benches, Pam. Thanks. Many hours of reading 📖 pleasure is my wish for you in 2017! Great list – and some new titles for me. This year I plan to enjoy more lovely spots like those benches and read more even if it means blogging less. Wishing you a new year full of miles of smiles, intriguing wanderings, and lots of wonder. I like your plans for the new year. I have similar thoughts, although I can’t give up my blog; I feel as if I’d be giving up my weekly ‘conversation’ with good (never met) friends. I skipped a week, a little over a month ago, and received dozens of e-mails asking, “WHAT’S WRONG?” Made me feel a bit pressured, but on the other hand, really happy that readers look forward to my once-a-week musings. Anyway, I’m musing out loud here. I enjoy your blog, whenever you choose to post, and wish you many lovely benches in the new year. Ahh, how I love your blessing of “laughter, play, creativity, wisdom, and love” in 2017. I’m breathing that in, and believing in its possibilities. And I’m breathing out the same blessing to you. I love the way you wove book titles into your article. What skill! A Man Called Ove was one of the most enjoyable books I read this year. Charming and sweet! I love your idea of ‘weaving.’ – yes words weave their way into our minds and souls, when they’re written with truth, don’t they? And yes, A Man Called Ov told the truth of a sad, lonely old man, and how he found love in the company of others. Quite well done. Hi Ved. Smiling at your song recollection. Oh yes, we think we can’t be played the fool, but at some point, in some time. . . I love this because it shows how much books can become a part of us. There are so many books here that have been on my list for too long – I’m happy to hear you enjoyed them! I’ll have to get started on them for this year. Happy New Year and happy reading! I agree with you – I’ve enjoyed everything I’ve read by Norah. 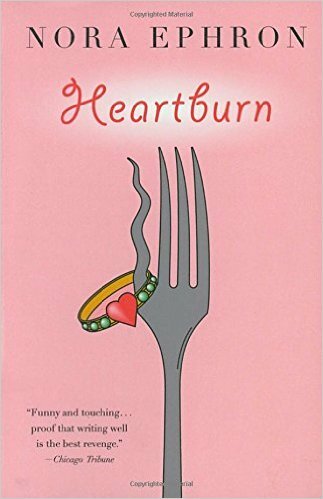 Heartburn might have been the most difficult, knowing how true-to-her-life this book of “fiction” was for her. Her last two memoirs (Like “I Hate My Neck”) were hysterical. Happy New Year! I envy your reading interest. I love to read too but unfortunately since a while I have gotten quite occupied with an office job and am unable to read as frequently as I did. I have read your recent posts and found them interesting. By comments above, I learn that you are read religiously. Please give me a suggestion on how can I continue my reading habit with busy routine on going. Thanks so much for finding me here, reading some of my posts, and following me! You have a beautiful blog. I’ve always worked, and I’ve always read a book a week. I read with my morning toast, my lunch break, my cup of tea, and instead of TV, I read into the night. Reading (and writing) fills my soul. Happy reading and blogging. Please keep on returning! What a clever piece of writing – weaving the books you’ve read into a reflection of the year past. What a clever and sweet post, Pam. I was delighted to amble over to your bench and see my book on your list! Thank you. You read a lot of books in 2016, btw. I’m impressed as I struggle to find the time to read 1 a month, and I really miss it. Thanks also for the reading list 😀 To a new year of books and books. Cheers! Several readers on this post also commented about how beautiful the cover of your book is, and how that would take them to the book for sure. Interesting… and makes me realize I need to work more on my future book covers! I redid most of my covers, Pam, and was surprised what a difference it made. They’re important, and knowing that we can update them later when the budget allows is a relief. I love to read and hope once the current series is done, I’ll make more time. Still searching for the magic to slow down the clock!! A wonderful list! I have read a few of these. Adding “Mr. Emerson’s Wife” to my list. Thanks! Susan, Mr. Emerson’s Wife is just your kind of book – I think you’ll really like it. Next post (1/13) features one of your gorgeous photos. Whoopee! A beautiful place to sit on the bench for peaceful reflection, inspiring reading! 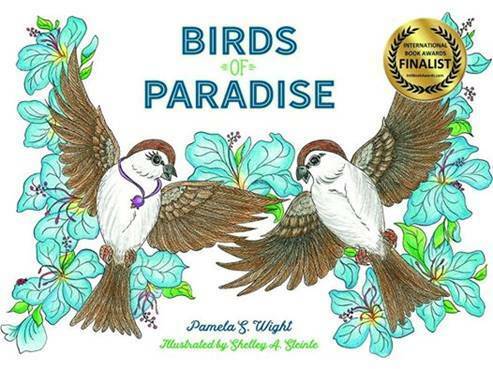 😀 A wonderful eclectic mix of books here, Pam…thank you for sharing. Hope the New Year is treating you well and giving you many more opportunities to visit this magical bench – don’t think I’d want to leave it! My new year began as life does: glorious, complicated, complex, and yet wonderful. Hope about yours?? That’s what I like about these books that I read – they show the complexity of life and love.